The chemicals below can be used with floor polishing & buffing machines. High care maintenance of polished floors. It restores a non-slip shine and helps to prolong the life of polished surfaces. It is quick and easy to apply and suitable for non porous floors. Premium protection and shine for all floor types. 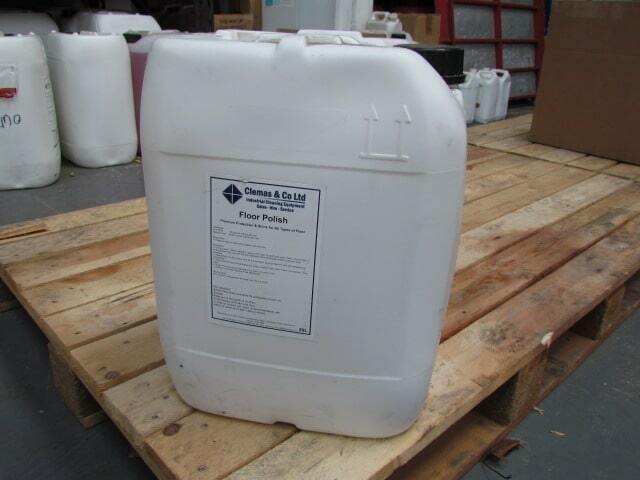 Suitable for use on non porous flooring surfaces; vinyl, linoleum, rubber, wood, marble etc. The polish forms a water resistant seal with excellent non-slip properties. Use can prolong the life of the floor surface.